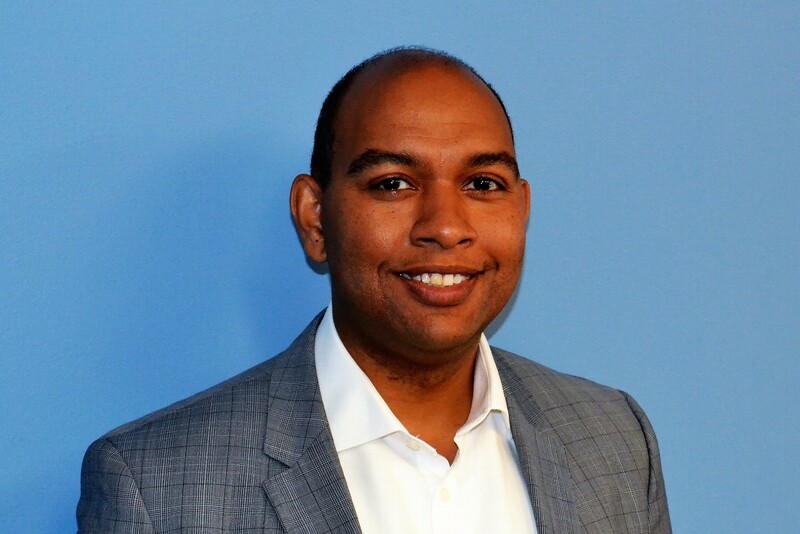 Kevin Beard is the Chief Growth Officer and a founding partner of Atria Wealth Solutions, a modern wealth management solutions holding company launched in 2017. He has more than 20 years of experience in financial advisor recruiting, business development and IBD acquisitions. Prior to founding Atria, Kevin served as the Executive Vice President, Recruiting and Acquisition Strategy for AIG Advisor Group. Before joining Advisor Group, Kevin was a regional director with Rehmann and co‐founded two companies: Innovative Advanced Resources, a specialized, high‐net‐worth investment distribution and business advisory firm, and Beard Management Inc., a wealth management consulting firm. Kevin attended Kent State University in Kent, Ohio. He currently lives in Ohio with his wife Andrea and their three daughters. Kevin is active in his church and various charitable causes with a focus on arthritis and education and is a member of the Arthritis Foundation Northeastern Ohio local leadership board. In his spare time, he enjoys being with family and friends and cheering for his favorite Cleveland sports teams – the Cavaliers, Indians and Browns. The Arthritis Foundation is honored to have Kevin Beard as the 2018 Jingle Bell Run Corporate Chair. To join or support Kevin’s team, “Straight Outta Bath,” click here. Maria Antonelli, MD, is a native Clevelander and this year’s Jingle Bell Run Medical Honoree. After completing her Medical Doctorate at the University of Toledo, College of Medicine, she completed her training in Internal Medicine and completed a chief residency year at MetroHealth Medical Center. 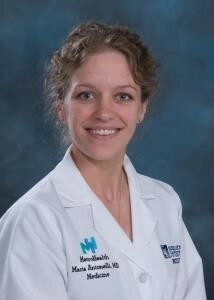 Dr. Antonelli’s rheumatology fellowship was also done at MetroHealth Medical Center. She is currently a staff rheumatologist and loves working with rheumatology fellows and residents as well as doing research in general rheumatology. Dr. Antonelli’s clinical expertise includes Osteoporosis, Rheumatoid Arthritis, Systemic Lupus Erythematosus, Sjögren Syndrome. To join or support Dr. Antonelli’s Jingle Bell Run team, “Rheumie Reindeers,” click here. Like many others, when Baddour received her diagnosis, one of her initial reactions was relief because she finally had answers. Her family, however, was very worried because in the past, there was not as much knowledge or treatment of RA available and the risks were so significant. 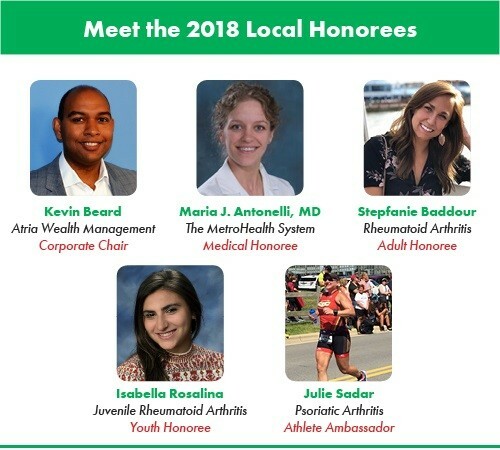 Baddour became involved with the Arthritis Foundation through the Jingle Bell Run three years ago which has helped raise awareness about the disease and the Arthritis Foundation’s work not only within her network of friends and family, but especially for those others who are newly diagnosed. Baddour is a shining example of being a Champion of Yes; while some days it’s hard to even get out of bed, she never lets her arthritis dictate her life. 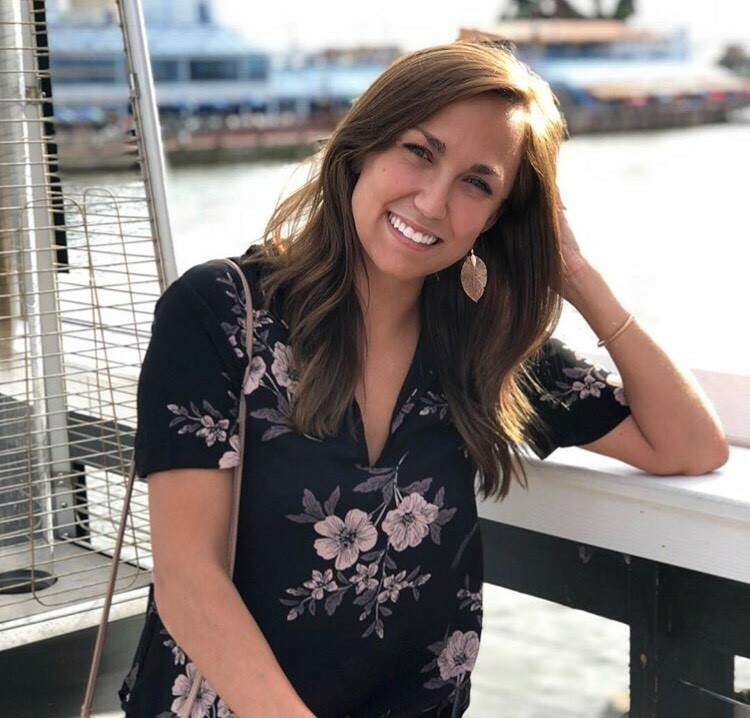 She remains active doing the things she loves like golfing, supporting Cleveland sports, working out and experiencing the Cleveland culinary scene. Isabella Rosalina was diagnosed with Juvenile Rheumatoid Arthritis at just two years old. Isabella was always such a happy toddler, so when she began crying from having her hands wiped and her diaper changed, Isabella’s mother knew something was wrong. When the pain persisted, the doctors ran additional tests and Isabella was diagnosed with Polyarticular Juvenile Rheumatoid Arthritis, she had over 15 joints affected. The year after Isabella was diagnosed with arthritis, she was also diagnosed with Uveitis which is inflammation of the eye caused by arthritis. Since the age of three, doctors have had a very hard time trying to control Isabella’s Uveitis. She has been on a variety of medications for most of her life trying to control both her arthritis and her uveitis. “My mom said when I was younger, our routine became her giving me my weekly injections, then I would vomit immediately after, then I’d go back to playing soccer,” said Isabella. “After many years of medications and their side effects including weakening my immune system, my parents began incorporating as many holistic approaches as they could. I changed my diet, started acupuncture, cryotherapy and medical massages, all of which have helped me considerably.” Isabella still has joint pain, but she works hard to balance her quality of life and that daily pain. “My hope for others with arthritis is to be able to rise above our obstacles and find strength in knowing we’re not alone,” said Isabella. 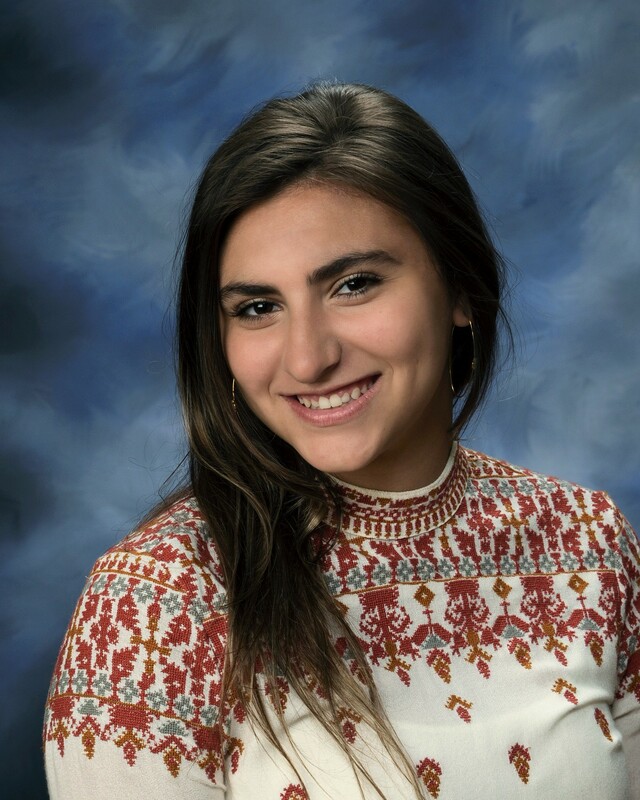 The Arthritis Foundation is honored to have Isabella Rosalina serve as this year’s 2018 Jingle Bell Run Youth Honoree. To join or support Isabella’s “Team Rosalina,” click here. Julie Sadar approaches every day with an attitude of gratitude. 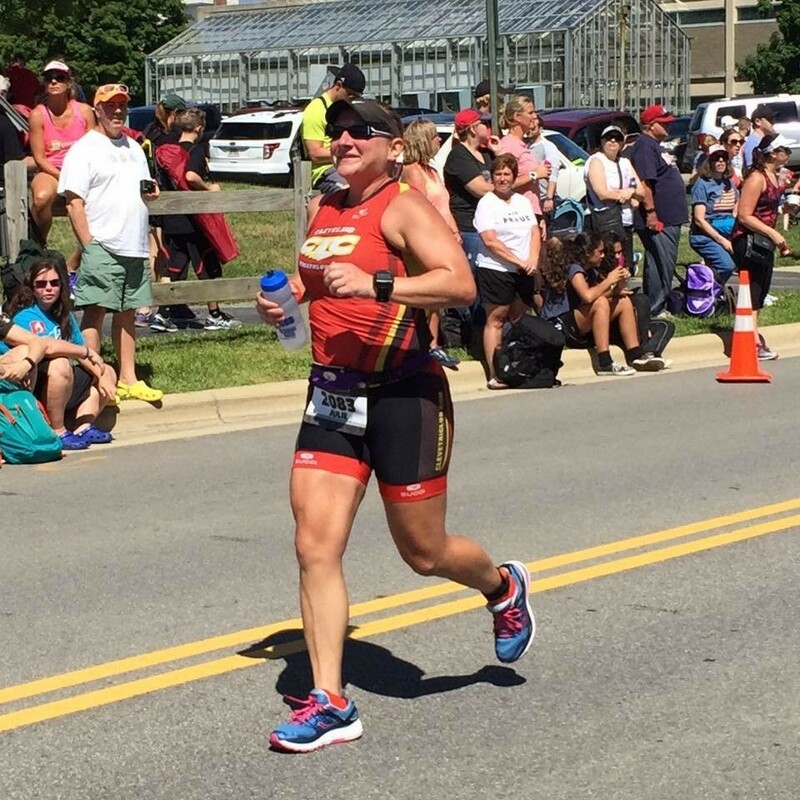 The Arthritis Foundation is honored to have Julie serve as this year’s Athlete Ambassador of the Cleveland Jingle Bell Run, to join or support Julie’s team, “Jingle For Your Joints,” click here.